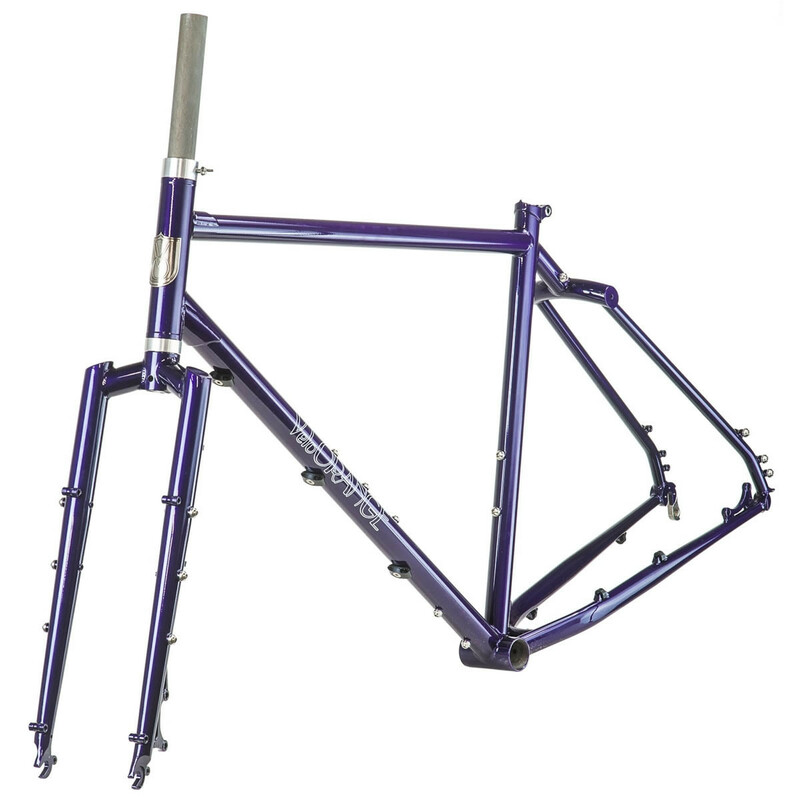 The Piolet is VO's bikepacking frame. It's designed for off-road touring, including dirt and gravel roads, double track, and single track. They built it to be sturdy, simple, and very capable. As with VO's other frames it's double butted chromoly steel. The fork is triple butted for reduced weight and extra strength. 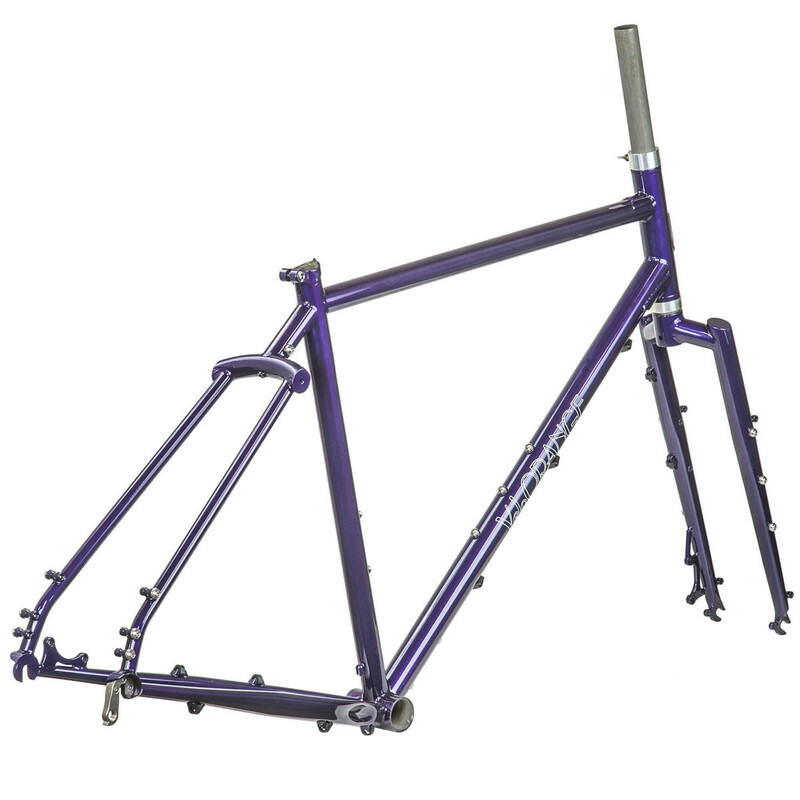 The seatsays come together in a cool mono-stay wishbone and compliment the segmented fork. 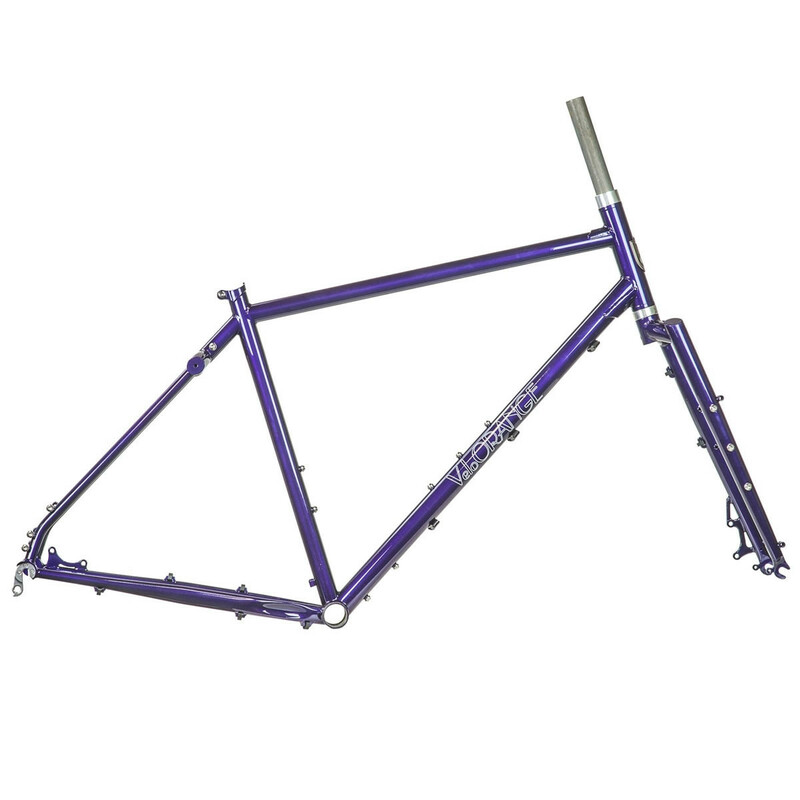 The frameset is covered in bosses for easily mounting any racks, water-bottles, gear cages, and even fenders. It's happily set up in bikepacking fashion or as a traditional rack and bag tourer! The Piolet handles similarly to a XC mountain bike, but slightly more in the touring direction. Feels natural with drop bars or flat bars. Non-suspension corrected fork handles predictably with or without a load! The S and XS sizes are designed around 26 x 2.4" tires. 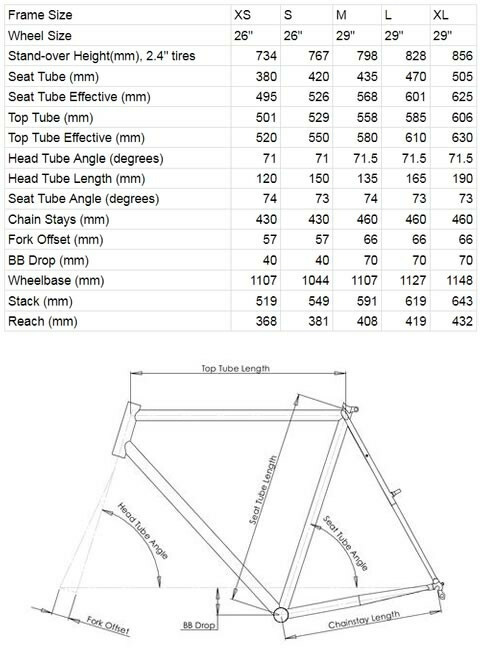 M, L, and XL use 29 x 2.4" or 27.5 x 3.0" tires.